Stivanadika of Chania is located on Skridlof street, where it connects with Chalidon Street, the main street of the old city. Every major city in Crete had a specified area at its shopping center, where you could find traditional shoemakers, that made the Cretan stivania. 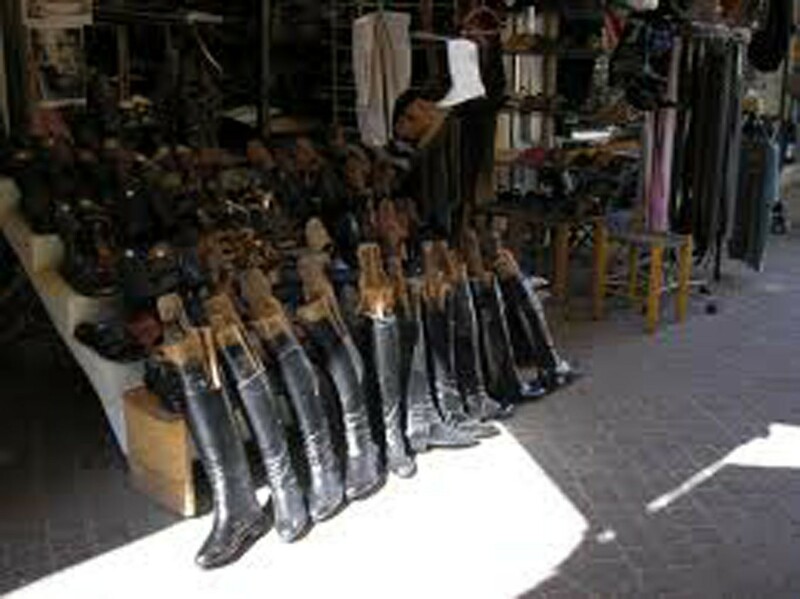 Stivania were high boots, stiff, of excellent durability, usually black and, rarely white, an integral part of the Cretan male costume. Today of course, “stivanopoiia”, the art of making stivania, as well as most traditional arts, has decayed. Few now are engaged in this lengthy process of stivania production and the demand is more limited. A visit to Stivanadika in Chania, will remind you of a bazaar, with its intense smell of leather and the colorful pieces of Cretan folk art sold here. In Stivanadika, one can buy local leather products and many other souvenirs, as a reminder of his visit to the city. At the beginning of Skridlof street, behind the shops of Chalidon street, one can see the ruins of the southern walls of the old Venetian town.